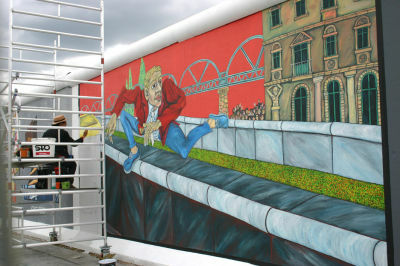 Gabriel Heimler restored 'The Wall Jumper' for the 20th Anniversary of the Fall of the Wall. 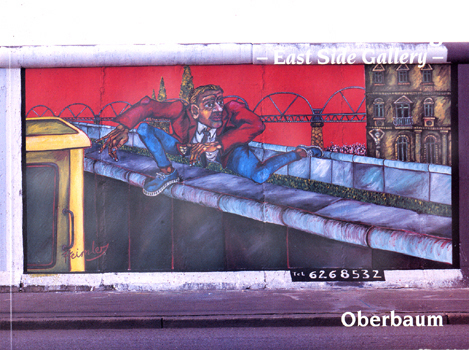 Painted it in 1989, a part of the East Side Gallery, it is one of the most visited historical monuments in Berlin. 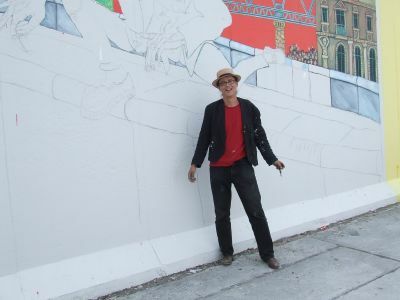 Die Restaurierung seines "Mauerspringers" von 1990 auf der East Side Gallery in Berlin hat Gabriel Heimler gerade abgeschlossen. 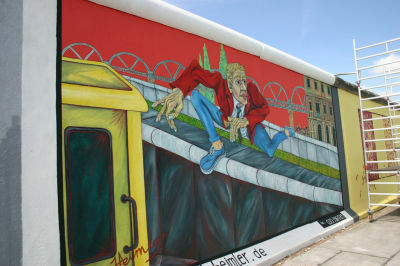 Hier below a photo of 'The Wall Jumper' before renovation from a cover of the East Side Gallery calalogue. Und so sah der Katalog mit dem "alten" Mauerspringer auf dem Cover aus.